We book lovers have a problem. A big problem. We have a lot of books, but we still want more books. However at limited resources, it’s either constrained storage spaces, or insufficient funds to buy more books. Book swapping with other readers to exchange and switch books. 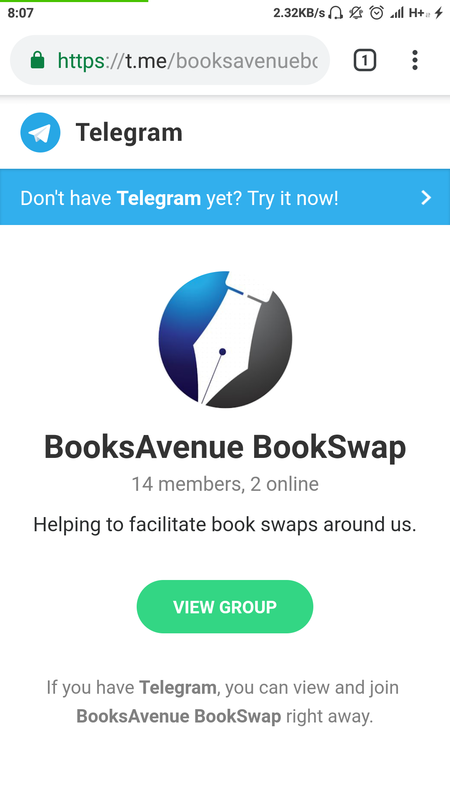 And that’s how BooksAvenue has been providing a simple platform to match book swappers. Then click on View Group, and then Join. The group just started very recently. Feel free to share with others to gather more people with the same interest.